The meeting today was so close we still haven’t had confirmation who has won. With just the relays to go we were only 2 points behind Middlesbrough!!!!! Whatever the final result the athletes put in a stunning effort today and again were the noisiest club giving loads of cheers and applause to their fellow athletes. Well done everyone (including the officials who had a lot to contend with). The Yorkshire Championships was a very successful weekend for Hallamshire, with many medals won from all age groups. In the U13B 100m final Hallamshire claimed all 3 medals with Joel Vernon finishing 1st in 13:31, Kayden James coming 2nd with a PB of 13.47 and Nathaniel Dyas in 3rd with 13.93. For the U17 Women Alicia Littlejohn finished 5th in Heat 2 with a PB of 13.54. In the U15G final, Acacia Williams-Hewitt came 2nd in 12.61, Lucy Revitt finished 6th with a PB of 13.08 and Nicole Hague came 8th also with a PB of 13.31. Freya Sedgewick came 6th in Heat 2 of the U15G 100m with a time of 14.20. Ben Kelly came 5th in Heat 1 of the U17M 100m in 12.20. In the 200m, Hermione Archer came 2nd in the U20W final in a time of 27.32 and Acacia Williams-Hewitt finished 1st in the U15G final with a PB of 25.50. Lucy Revitt came 3rd in the U15G 300m final with a Seasons best of 43.08, after winning her Heat in 44.07. Ryan Selman finished 6th in the U17M 400m final with a PB of 62.46. Caitlin Tevendale came 3rd running 66.29 in the U20W 400m. Charlotte Slack came 4th in a strong Senior womens 400m race in a time of 59.70. In the U17M 800m, Joshua Francis came 5th in Heat 2 with a PB of 2:21.21. Saskia Huxham won the U17 Womens race with a PB of 2:14.66. Alex Durant finished 6th in Heat 1 of the U15B race with a time of 2:23.18. In the U15G Tati Wilson finished 7th in the 800m final in 2:36.85. Earlier in the day, Tati had won her heat in 2:30.09 with Ellie Rogers running a PB of 2:35.97 for 4th place in Heat 1. Sophie Oliver came 8th in Heat 2 with a PB of 2:55.20 and Holly Booker finished 5th in Heat 3 in 2:35.56. In the U13G 800m, Ruby Simpson won Heat 1 in 2:30.73 and Emily Hunter came 3rd with a PB of 2:37.70. In Heat 2, Zena Hartley won in 2:31.26, Summer Ludlam finished 7th in 2:49.92 and Georgia Robertson came 3rd in Heat 3 with a PB of 2:39.11. The U13G final was a high quality race with Ruby Simpson taking the gold medal with a PB of 2:22.95, Zena Hartley had a strong race to finish 2nd also with a PB of 2:26.58 and Emily Hunter came 6th gaining another PB of 2:35.14. Charlotte Slack took the bronze medal in the senior women’s 800m in 2:18.41 (with the first 4 women all on 2:18). Connor Milnes dominated the senior men’s 1500m, leading from the gun in a strong wind to win in 4:04.49. Josh Walton was 5th in the U20M 1500m (the official time has not been included in the published results). David Lewis was 12th in the U17M 1500m in 4:39.39. In the U15G 1500m, Jodie Hill finished 2nd in a high quality race with a PB of 4:56.32. Laura Trask and May Quinn both ran pbs, with Laura finishing 6th in 5:11.48 and May 10th in 5:28.48. Taylor Hill was involved in a fast U15B 1500m, eventually taking 5th with a new PB of 4:36.88. Ben Shaw ran well to finish 13th and improve his pb to 4:57.92. Hannah Fletcher won the senior women’s 3k, running a new pb to take the gold in 10:00.29. Imani Wilson also ran a pb to win the U20W 3k in 10:54.52 with Lilly Fletcher taking the silver medal in 11:01.24. In the 75m Hurdles final, Lucy Revitt (U15G) came 5th with a PB of 12.86 and Nicole Hague after a bad fall at the start, showed her determination and got up to finish 8th in 19.33. In the 80m Hurdles, Gabby Craft (U17W) finished 4th in 13.05. Ben Kelly came 1st in the U17M 100m Hurdles in 17.54 and Saskia Huxham also came 1st in the U17W 300m Hurdles with a PB of 45.79. In the High Jump, Ayman El-Amrani (U17M) came 3rd with 1.70m. For the U20W, Hermione Archer came 5th with a seasons best jump of 1.40m. James Lee won the U20 Mens with a seasons best of 1.90m. In the U15G, Ellie Rogers came 9th with 1.30m, Sophie Oliver came 11th with 1.25m and Freya Sedgewick finished 12th with a jump of 1.15m. Sam Kelly came 6th in the U13 Boys with 1.20m and Erin Lobley finished 2nd in the U13G with a PB jump of 1.48m. Nathanial Dyas came 7th in the U13 Boys Long Jump with a PB of 3.61m and Erin Lobley (U13G) won gold with 4.72m. Nicole Hague finished 2nd in the U15G also with a PB jump of 4.90m. For the Under 17s, Alicia Littlejohn came 8th with 4.66m and Ryan Selman came 5th with a jump of 4.71m. Elaine Williams finished 3rd in the U20 Womens long jump with 4.87m and Heermione Archer came 4th with 4.53m. 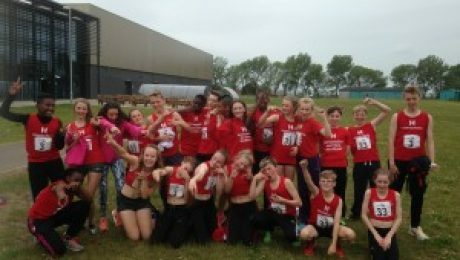 In the Shot Putt, Nathanial Dyas (U13B) came 4th with 5.84m and Erin Lobley (U13G) won another gold medal with a PB throw of 8.76m. Alicia Littlejohn (U17W) finished 11th with 8.59m and Nathanial Thompson (U20M) came 2nd with 11.32m. In the Discus, Joshua Francis (U17M) finished 1st with 22.70m, Charlotte Mather (U20W) came 4th with a Seasons best throw of 29.61m and Sophie Oliver (U15G) came 7th with 13.71m. George Perkins came 4th in the Senior mens Hammer throw with 43.05m. In the Javelin, Lauren Foletti (U15G) got gold with a PB throw of 28.04m. For the Under 17s, Saskia Huxham came 3rd with a seasons best throw of 28.91m and Joshua Francis came 2nd with 27.71m. Charlotte Mather (U20W) finished 4th with another seasons best throw of 22.66m. Well Done to all Athletes that competed, it’s great to see so many Medals being won and Personal bests being achieved. Steve Bayton produced a fine performance in his debut at the marathon to win the Manchester marathon in 2:22:34. Steve was in a chasing group for the early part of the race, before coming through to take the lead in the latter stages to win in convincing style. Pete Hodges hopes of running a PB were frustrated by a hip injury in the opening miles. Pete still managed to finish 111th in 2:50:52. For the U11 Boys, Cosmo Johnson came 2nd in the 80m in a time of 12.81, he came 1st in his 600m in 1.58.16 and he also won the Long Jump by jumping 3.30m. Sam Lawford came 3rd in his first 100m of the Season in 11.93 and 1st in the Senior Mens 200m in a time of 24.41. In the senior women’s 800m, battling against a cold wind, Charlotte Slack was 2nd in 2:25.98 with Caitlin Tevendale 4th in 2:35.94. Caitlin was 2nd in the 400m in 66.53. Tati Wilson looked strong in her opening 800m, finishing 2nd in the U15G race in 2:30.29. Connor Milnes followed the leader in a tactical 1500m, kicking away at the bell to win in 4:14.28. David Lewis made a solid start to his track season running 4:42.19 to finish 5th overall (3rd U17M). Imani Wilson, making a welcome return to the track, made her debut at 3k, winning in 11:09.56. Competitors at the National Road Relay Championships were faced with cold winds, sunshine, rain and snow flurries. The Senior women’s team finished 14th. Nicky Squires got the team off to a good start on the opening long leg, finishing 14th in 31:46. Charlotte Slack, not helped by the cold conditions, was 19th on the 2nd short leg in 20:31. Hannah Whitelam, recovering from injury, was 20th in 20:54. Zanthe Wray on the 2nd of the long legs came in 15th in 32:51. Hannah Fletcher maintained her position on the next short leg with 19:06. Charlotte Ward, making her debut for the team, matched Hannah’s time to bring the team home in 14th in 19:06. The Senior men did very well to field a complete team despite a number of absences. Tom Bains led off, running the fastest long leg for the team, finishing 25th in 27:39. Nic Barber on the first of the short legs was 31st in 17:11. Ben Beattie finished 35th in 29:25 and Mike Sprot 39th in 18:12. Andy Challenger moved the team up to 31st on his long leg with a time of 27:56. Connor Milnes ran the fastest short leg for the team with a time of 15:47 to move to 28th. Rob Little ran another strong long leg to finish in 25th in 27:50. Gareth Phoenix was 27th in 19:03 and Matt Hobbs maintained the position with 29:22. Sam Peters ran 18:18 or 27th with Zak Mellard gaining one place on the final long leg with a time of 29:35. Josh Walton completed the final short leg in 17:39 to finish 26th. 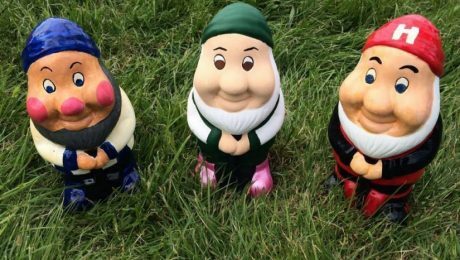 Many thanks to Hannah Whitelam, Nicky Squires and Andy Challenger for their hard work in getting the teams together. A good start to the Youth Development League in Cleckheaton this weekend with many winning performances and Personal bests. In the U13G, 75m race, Jamie Hemsworth came 4th in the A race in a time of 11.3 and Eniola Ajagbe got a PB in the B race by coming 1st in 11.0. Jack Parker also got a PB in the U15B 100m, coming 3rd in 13.2. In the U13B race, Joel Vernon came 1st in the A race with a PB of 13.7. Kayden James came 2nd (B race) with a PB of 13.9. In the Non-Scoring race, Nathanial Dyas finished 1st in 14.4. Acacia Williams-Hewitt finished 1st in 13.1 in the U15G, with her team mate Elle Koziupa also coming 1st in the B race with a PB of 13.5. In the U13G 150m, Claudia Turnell and Eniola Ajagbe had a good race both running Pbs and coming 1st in 22.2 and 22.0. In the 200m, Jack Parker (U15B) finished 3rd with a Seasons best of 26.8. For the U13B, Joel Vernon (A Race) came 1st in 27.5 and Kayden James (B Race) came 1st with PB of 28.9. In the U15G, Acacia Williams-Hewitt came 1st with a PB of 26.3 and Elle Kosiupa also finished 1st in the B Race in 28.0. Alex Durant came 4th in the U15B 300m with a PB of 47.6. Lucy Revitt ran a seasons best in the U15Gs race coming 1st in 44.3 and Tati Wilson finished 1st in the B Race with a PB of 46.0. In the 800m, Alex Durant (U15B) finished 2nd with a PB of 2:22.3. For the U13B, Charlie Sleney came 1st in a PB of 2:35.6 and Luke Baxter came 2nd (B Race) in 2:20.4 which is another PB. Tati Wilson won the U15G A 800m with a season’s best of 2:27.7. Holly Booker knocked 15 seconds off her PB to win the B race in 2:32.0. May Quinn also ran a PB of 2:41.88 to win the non-scoring 800m. In the U13G race Ruby Simpson finished 1st in 2:26.5 and Emma Shipley also finished 1st running a PB in the B race in a time of 2:29.6. Zena Hartley won the U13G A 1200m in 4:05.0 and Georgia Robertson won the B race in 4:12.2. In the 1500m, James Hartley (U15B) ran a PB coming 4th in 5:10.4. Dylan Stevens finished 2nd in the U13 Boys race in 5:00.8, just outside his pb. In the 15G race, Laura Trask won with a big Pb of 5:20.1, taking 11 seconds off her previous PB and Ellie Rogers won the B race with a Seasons best of 5:37.0. In the 70m Hurdles, Erin Lobley came 1st in 12.8 and Madeleine Anderson came 1st in the B race with a PB of 16.5. In the U13B, 75m Hurdles, Sam Kelly finished with a PB coming 2nd in 18.1 and Lucy Revitt (U15G) came 2nd in 13.2. In the High Jump, Gabriel Gisborne (U15B) jumped a PB of 1.53m coming 2nd. Sam Kelly (U13B) also Jumped a PB coming 2nd with 1.25m and Sam Oliver (B Jumper) came 1st with a seasons best of 1.15m. For the U15G, Sophie Oliver finished 4th with a jump of 1.20m. In the U13G High Jump, Erin Lobley came 1st with a jump of 1.35m and Gabrielle Anderson also came 1st (B jumper) with a Jump of 1.10m. Jack Parker came 1st in the U15B Long Jump with a seasons best of 4.58m and Alex Durant came 3rd (B jumper) with a PB of 3.77m. For the U13B, Joel Vernon came 2nd with a PB of 4.28 and Kayden James also got a PB finishing 2nd with a jump of 3.67m. Lucy Revitt (U15G) came 2nd jumping 4.33m and for the U13G, Gabrielle Anderson jumped a PB coming 3rd with 3.74m and Madeleine Anderson (B jumper) came 2nd with a jump of 3.25m. In the Shot Putt, Sam Kelly (U13B) came 4th with a throw of 4.23m. Acacia Williams-Hewitt came 1st for the U15G A Group with a PB throw of 9.20m and Tati Wilson also came 1st in the B group with a PB of 7.33m. Erin Lobley (U13G) came 1st with 7.80m and Claudia Turnell came 1st with a PB of 5.71m. In the Discus, Gabriel Gisborne (U15B) came 4th with a PB of 15.44m. For the U15G, Lauren Foletti came 4th also throwing a PB of 14.62m. In the Javelin, James Hartley (U15B) came 4th with a PB of 18.43m. Lauren Foletti had a good throw in the U15G, coming 1st with a PB of 25.58m and Sophie Oliver (B thrower) came 3rd with a PB of 10.81. For the U13B, Sam Oliver came 4th with a PB throw of 11.45m and Dylan Stevens came 2nd with a PB of 10.56m. Gabrielle Anderson and Madeleine Anderson both won there A and B groups in the U13G, both getting PBs of 14.02m and 12.65m. Our senior women produced an outstanding team performance to take the silver medal and with the men’s team finishing an excellent sixth place, it meant that HHS were the most successful senior team at the National cross country championships. This was backed up once again by some excellent performances by the juniors. 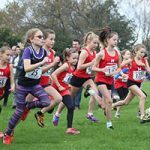 Hatti Archer again proved her class battling at the front of the race on a course that proved a true test of cross country running. Hatti was in contention all the way to the line, finishing 5th in 31:09. Lizzie Adams improved again on her performance at the Northerns to finish 25th in 32:36. Hannah Fletcher continued her fine form with her best ever performance at the National, taking 45th in 33:33. Zanthe Wray then brought home the team to the silver medal in finishing 65th in 34:11. It was great to see so many senior men then start the final race and witness another fine team performance. Steve Bayton had another excellent run to take 21st in 44:07. Bertie Houghton provided great support with a fine run to finish 34th in 44:54. Rob Little continued his good form with a strong run in 63rd in 45:51 with Dave Archer running really well, despite losing a shoe on the opening lap, to give the team a great start in 76th in 46:05. Andy Challenger produced a strong run for 117th in 46:59 and Aidan Smith came through the field on the final lap for 141st in 47:32 to bring the team home in 6th, the highest finish at the Nationals for many years. Matt Hobbs ran well to take 173s in 48:12 with Tom Bains also running strongly in 189th in 48:38. Pete Hodges brought the 9-man team home with a fine run in 212th in 48:55. The scores for the 9-man team have still not been finalised. Andy Thake and Nicholas Barber turned back the years with excellent runs for 227th in 49:11 and 241st in 49:29 respectively. Tom Jenkins came 243rd in 49:33. Ben Beattie, thankful it was not a flat course, battled through to 271st in 50:00 with Zak Mellard 297th in 50:21. John Birch ran well for 321st in 50:43 with Gavin Keight 371st in 51:23, Matt Payne 655th in 55:51 and Paul Faulkner 728th in 56:49. Connor Milnes, after leading the field on the opening mile of the U20M race, finished 23rd in 39:00. Wyatt Hill, making his debut in the National, ran well for 56th in 40:54 with Josh Walton working hard to finish 78th in 42:27. In the U20W race, Ellie Crownshaw ran well for 49th in 25:15 and Flora McNeill battled round to 129th in 39:03. Cameron Bell produced a fine run in the U17M race to finish an excellent 7th in 20:04 with Jack Crownshaw running well for 137th in 23:06. In the U17W race, Imani Wilson continued her return to fitness with a good run to take 72nd in 22:42 and Caitlin Tevendale worked hard to finish 140th in 24:31. David Lewis also worked hard in difficult conditions to finish 180th in 19:05 in the U15B race. Eve Crownshaw ran well to take 73rd in 18:13 in the U15G race with Laura Trask continuing her improvement to finish 77th in 18:18. Saskia Huxham battled hard to finish 117th in 18:48 and Kira Round finished 244th in 20:25. Taylor Hill produced another fine run to finish 7th in 13:02 in the U13B race. Dylan Stevens made an excellent debut at the National running very strongly throughout to finish 148th in 14:42. Jacob Hartley came 366th in a time of 16:38. Jodie Hill produced the outstanding individual performance of the day to finish 4th in 14:09. Jodie was in the leading group throughout the race, pushed the pace on in the middle of the race, and was narrowly run out of the medals in the final straight. Zena Hartley continued her excellent season with a fine debut at the National finishing 58th in 15:01. Tati Wilson showed good strength to take 126th in 15:35 with Mo Martin again finishing strongly in 144th in 15:46. May Quinn had a good run to finish 163rd in 15:55 and Katie Adams came 197th in 16:08. Holly Booker and Emily Hunter both ran well to finish 220th and 267th in 16:20 and 16:39 respectively. Lauren Chambers in her first National race came 369th in 17:33 and Jenna Hazard finished 414th in a time of 18:19. 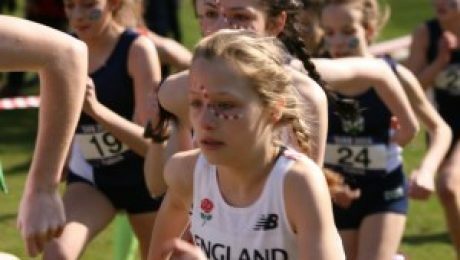 Jodie Hill finished her fine cross country season with another mature performance at the British Schools International cross country in Falkirk. Representing England in the junior girls’ race, Jodie coped well with the fast start, working her way through the field to finish 9th overall, despite being one of the youngest competitors. Jodie helped the England team to a comprehensive team victory. Steve Bayton and Bertie Houghton represented the North in the senior Home Countries race. Steve finished 10th in 32:28 with Bertie 12th in 32:50. Steve and Bertie claimed bronze team medals as the North finished third in the team competition. Joe Wilkinson also helped the North U20 team to the bronze medal with a strong run to finish 10th in 26:26. There were a number of fine performances by HHS athletes at the Cardiff half marathon despite the poor weather conditions. The senior men continued their fine form from the cross country season with three men in the top twenty. 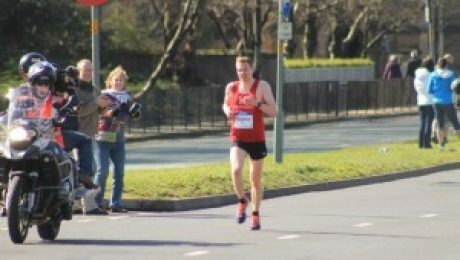 Steve Bayton, using the race as preparation for the Manchester marathon, was 15th with a new pb of 1:08:27. Andy Challenger improved his pb to 1:08:35 in 18th. Rob Little improved his pb by a minute to finish 19th in 1:08:45. Dave Archer was 44th in 1:12:06 with Ben Beattie 46th in 1:12:40 and Zak Mellard 82nd in 1:14:24. Nicola Squires had a strong race despite the hard conditions and was 6th in the women’s race and 210th overall in 1:19:10. 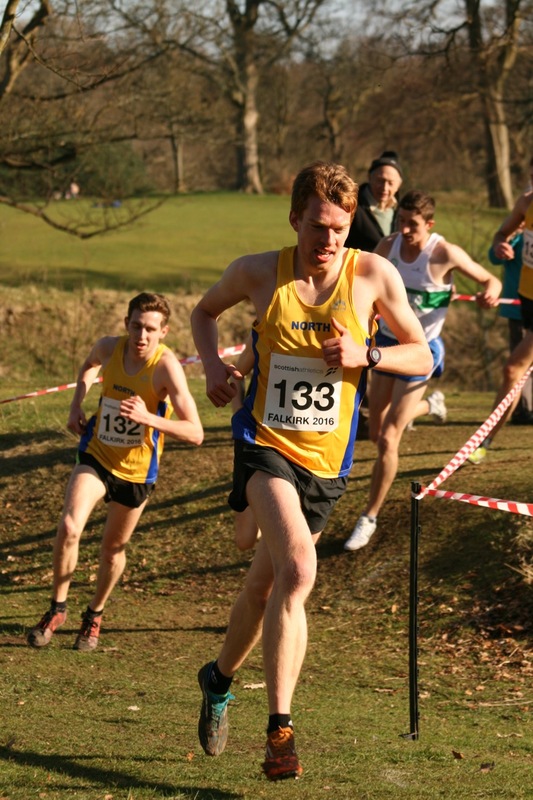 The Northern Cross Country Championships at Witton Park, Blackburn was another memorable day for Hallamshire. The demanding course was made even more challenging by clawing mud, driving sleet, snow, hail and strong winds. It proved to be a real test of running ability, character and courage. The Senior Women provided one of the performances of the day to regain the Northern title. Hatti Archer led the team brilliantly on her return with a fine 6th place in 31:24. Lizzie Adams, also making a welcome return after a long lay off, battled her way to 18th in 32:57. Zanthe Wray made another set forward to finish a fine 20th in 33:08 with Hannah Fletcher also having her best ever run at the Northerns finishing 26th in 33:36. Hannah Whitelam continued her improvement taking 74th in 37:29 with Rachel Poole battling through to 184th in 42:44. The Senior Men also produced a fine performance to claim the bronze medal in the team competition and within 4 points of denying Leeds the silver medal. Steve Bayton followed his fine run at the Yorkshires with an excellent 9th place in 45:02. Bertie Houghton worked his way through the field for a fine 17th in 45:33. Rob Little looked very strong in taking 19th in 45:38 with Dave Archer showing great strength to finish 28th in 46:32. Andy Challenger overcame his dislike of cross country to make a crucial contribution in 45th in 47:54 and Pete Hodges continued his fine form to take 65th in 49:05 to clinch the bronze medal. Nic Barber and Neil Northrop used their felling running experience to finish 87th (50:21) and 93rd (50:31) respectively. Ben Beattie was 104th in 50:53 with Mike Sprot 203rd in 55:21 and Paul Faulkner 373rd in 1:02:01. Connor Milnes, despite a cold and with the testing conditions ran well in the U20M race to finish 14th in 28:47 with Josh Walton also running well to take 42nd in 31:12. In the U20W race, Charlotte Slack had her best run ever in the Northerns to finish 17th in 24:44 with Ellie Crownshaw using her fell running strength to take 27th in 26:22. Cameron Bell produced one of the outstanding individual performances in the U17M race to claim the bronze medal. In a breakaway group of 3 on the opening lap, Cameron held on well to take 3rd in 19:42. Jack Crownshaw ran well to finish 55th in 22:34 and Jack Wells had his best run of the winter in 64th in 23:00. In the U17W race, Mary McCarthy ran very well to take 7th in 19:29. Imani Wilson continued her return to fitness with a good run to finish 25th in 20:30. Caitlin Tevendale, despite being unwell, dealt well with the difficult conditions to finish 58th in 22:07. David Lewis produced a strong run to lead home the HHS athletes in finishing 76th in 16:40. Victor Baycroft battled through finishing 89th in 16:53. In the U15G race, Eve Crownshaw showed her strength on the fells to finish 15th in 17:53. Saskia Huxham and Laura Trask both ran very well to finish 21st (18:07) and 23rd (18:09) respectively. Jodie Hill produced another outstanding performance to claim the individual bronze medal and lead the team home to gold and the Northern Athletics title. Jodie was 2nd coming off the top of the hill only to be caught in the thick mud on the run in, finishing 3rd in 13:51. Zena Hartley had another impressive run to finish 17th in 14:36. Maggie Naylor came 40th in 15:08 and May Quinn continued her fine form finishing 47th in 15:20, all helping the team to Gold. Holly Booker had an excellent run taking 49th in 15:21. Mo Martin had a strong run to finish 56th in 15:27 and Katie Adams was 71st in a time of 15:41. Tati Wilson, despite difficultly breathing in the difficult conditions, battled through to 73rd in 15:44 with Lois Blake showing great courage to finish 95th in 16:07. Lauren Chambers finished 152nd in her first ever Northern Championships in 17:09 and Jenna Hazard came 174th in 17:58. In a high quality U13B race, Taylor Hill produced another of the outstanding individual performances of the day to finish 4th in 12:49, narrowly failing to close the gap on 2nd and 3rd on the final run in. Tom Atkinson gained valuable experience in his first Northern championships and showed great character to finish 188th in 16:34. Many thanks to Tina Wilson, Hannah Whitelam and Dave Archer for their work as team managers to get out so many athletes and help produce such a memorable day.